A coffee date is always the safe and comfortable recommended first date meeting when you are meeting someone for the first time. Your coffee date is an opportunity for you to really get to know your date, and a chance for you to make a great impression and move on to the second date. That being said, a first Date don’t requires you NOT to show up late for your coffee date. Not only is a coffee date a more relaxed and typical first date option, it’s also one of the most economical date choices and actually offers a lot of flexibility for post-date fun and a quick follow-up date if you are both digging one another. When choosing the time of the coffee date, there are many options. Scheduling a Saturday or Sunday late afternoon coffee date is great so that it can turn into a dinner date. An after work or dinner coffee date allows you to go in and out and gives you the chance to meet face to face without the pressure or awkwardness by stating and knowing in advance the amount of time that you have. Allow yourself at least a half hour but stick to a strict time frame if you wind up meeting someone who you are not compatible or attracted to. What’s important to “get” from your date without having them feel like you are a professional interrogator or asking a million questions, is to make sure that you are as good a listener, as you are at asking questions.  Understand what appropriate 1st date conversation is. Be conscious that conversation is a 2 way street. If you catch yourself doing all the talking, be sure to ASK a question. If your date seems a bit shy, then try to break the ice by sharing something interesting about yourself that he/she will find amusing or ask THEM something that you’re curious about such as the things they like to do for fun. Or what is the next vacation they are planning. How about talking about their bucket list and comparing notes? Speaking about work can be a touchy subject for some people especially if they don’t enjoy the work they do. But asking about work in a round about way or creative way can help break the tension as well. Such as “What do you see yourself doing in the next 5 yrs?” You could talk about what their dreams and goals are or if they have any. How do they plan to get there? Make sure that you do look your best for your date and dress appropriately for the coffee meeting. First date advice for women and men is that you remember to have fun! These are some common tips that not everyone really applies. Never be rushed when you get there, give yourself enough time and always have a positive attitude and outlook regardless if there is instant chemistry or not. There was a reason that you decided this person was worth the time to get to know face to face. Keep in mind that they took the time to meet with you also, so do try to make the best of it. Even if it means you drink another cup of coffee with a new friend or someone you will never see again in your life. Have fun and make the best of it!